This small red porcelain circule has a hole at the right and left for mounting. 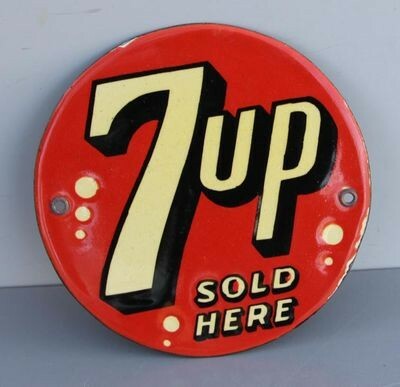 The text reads “7 Up Sold Here” and is on a red porcelain circle. This small piece measures 6″ in diameter.